Offer received. Please present highest and best offer by 5 PM on Saturday, November 10. Beautifully updated & maintained full brick townhouse with a private back patio & 2 car garage. 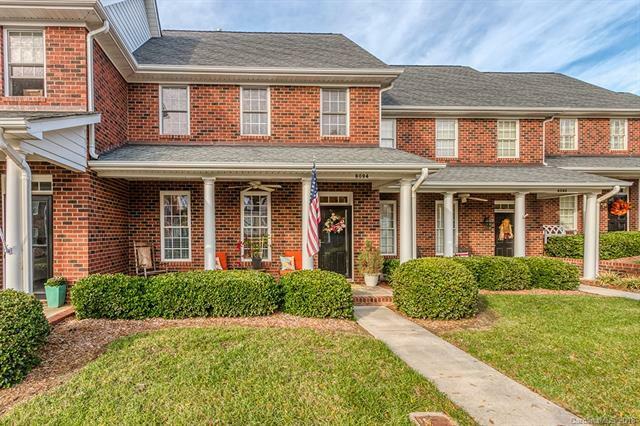 Solid hardwood floors & crown molding greet you in this open floor plan. Kitchen updated with granite counters, new faucet, tile back splash & stainless steel appliances. All bathrooms have new granite counters, new mirrors & re-worked toilets. Newer light fixtures and ceiling fans throughout home. Master bedroom & updated bath are on the main level w/ 2 more bedrooms & full bath upstairs. Sellers replaced the HVAC & updated it to include an additional thermostat upstairs for better airflow. New hot water heater, garage door opener & finished/painted garage. This home has tons of storage in the attic of the home, as well as above the garage. Easy access to I-85, I-485, Super Target shopping center and walking distance to Dorton Park, many shops, restaurants & YMCA (has 2 indoor pools & exercise classes).